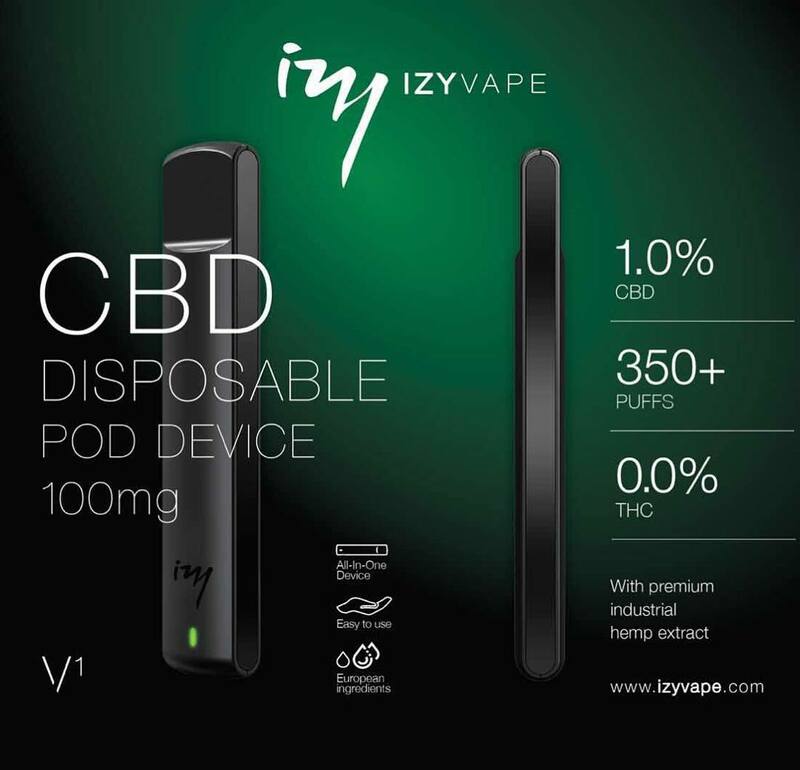 iZy Vape CBD 100mg disposable e-cigarette. Easily fume CBD with this CBD disposable e-cigarette. The fastest way to use CBD! Order fast! The Izy Vape disposable CBD pod device is a product of the ELDA team. This is possibly the first in a series of high-performance, convenience-based products to appear on the market this year. 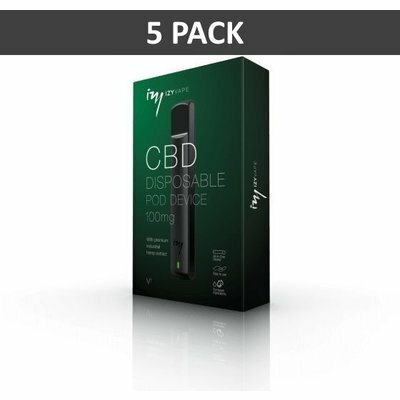 The Izy Vape disposable pod device is made with top quality industrial hemp extract and uses ingredients obtained directly in Europe. 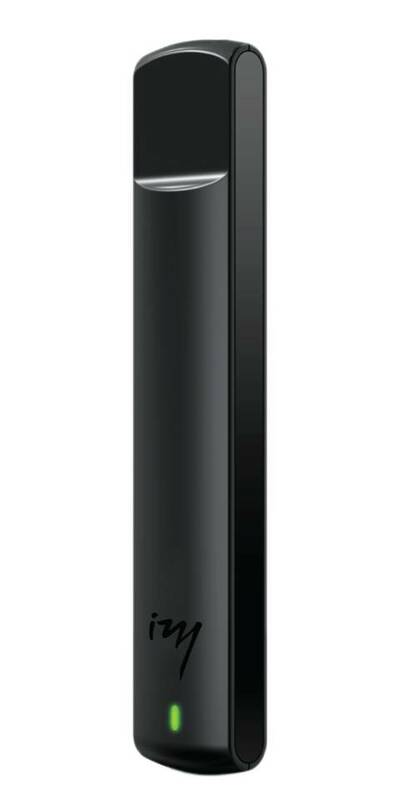 A very easy to use all-in-one system (AIO) that produces up to 350 inhalations per device. The taste has mild and earthy tones that do not dominate the taste buds, but provide a sweet and pleasant vapour experience. With elegant and slim packaging you can be sure that this will appeal to an adult and health-conscious audience. CBD has recently become increasingly popular for many well-documented reasons. IzyVape's disposable CBD path device uses a ceramic coil, so the end user gets CBD in the most efficient way, while the bioavailability of CBD increases. CBD oil, the non-psychoactive ingredient in cannabis extract, has shown great signs of reducing smoking by up to 40% in people who are active smokers. In a blind study, participants were given either 800mg oral CBD or a placebo and the conclusions of the latest study were that those who were given the CBD supplement were their "conspicuousness and pleasantness of cigarette indications". What's in the Izy Vape Box?